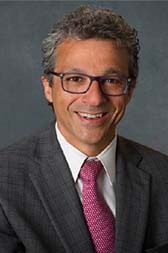 Alvaro Pascual-Leone, MD, PhD, is Professor of Neurology and an Associate Dean for Clinical and Translational Research at Harvard Medical School. 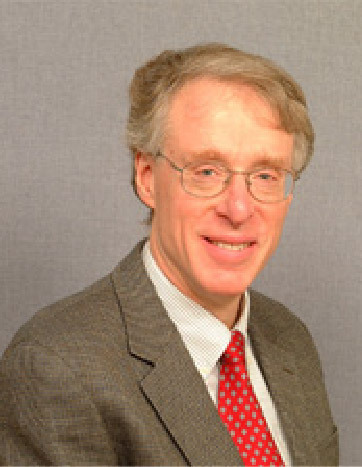 He serves as Chief for the Division of Cognitive Neurology and the Director of the Berenson-Allen Center for Noninvasive Brain Stimulation at Beth Israel Deaconess Medical Center. 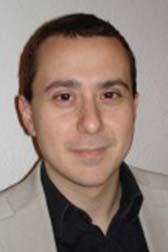 Dr. Pascual-Leone is a world leader in the field of noninvasive brain stimulation where his contributions span from technology development, through basic neurobiologic insights from animal studies and modeling approaches, to human proof-of-principle and multicenter clinical trials. His research has been fundamental in establishing the field of therapeutic brain stimulation. 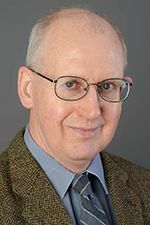 His work has provided evidence for the efficacy of noninvasive brain stimulation in treating various neurologic and psychiatric conditions, including epilepsy, stroke, Parkinson disease, chronic pain, autism, and drug-resistant depression. Dr. Pascual-Leone has authored more than 600 scientific papers as well as several books, and is listed inventor in several patents. His work is highly regarded for its innovation and quality and is highly cited. Dr. Pascual-Leone is the recipient of several international honors and awards, including the Ramón y Cajal Award in Neuroscience (Spain), the Norman Geschwind Prize in Behavioral Neurology from the American Academy of Neurology, the Friedrich Wilhelm Bessel Research Award from the Alexander von Humboldt Foundation (Germany), and the Jean-Louis Signoret Prize from the Ipsen Foundation (France). 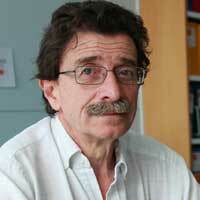 He is an elected member of the Spanish Royal Academy of Science (Farmacia). His work also has wide general public appeal and outreach through dissemination in articles in the lay press (Time Magazine, Newsweek, New Scientist, National Geographic) and documentaries on television and radio (Scientific American, 60 minutes, CNN, BBC, Discovery, National Geographic, etc.). Director Neurological and Spinal Cord Injury Rehabilitation A. Since obtaining his MD degree, Dr. Molinari has been involved in diagnosis and treatment of Neurological diseases with special focus on stroke patients and their rehabilitation. 1984/1998 Neurological ward and Neuropsychology unit at the Institute of Neurology Catholic University Rome. EEG diagnosis, Clinical Neuropsychology. 1998/present Hospital and Research Center IRCCS Santa Lucia Foundation in Roma: Department Director UNIT A of Neurorehabilitation (Personnel: 6MDs,1 psychologist, 26 nurses, 14 physiotherapists, 7 researchers) : Neurorehabilitation ward (30 beds), Spinal cord rehab unit (23 beds), outpatient rehabilitation (10 beds). Associated research labs: Ataxia Lab (Experimental Neuropsychology), CaRMA Lab (Clinical and Research Movement Analyses) and Experimental Neurorehabilitation Lab (Animal Models of CNS damage/ Functional recovery). Clinical duties: Neurological rehabilitation for in and out-patients. Main pathologies: stroke and spinal cord injuries. Research fields: neurological rehabilitation, Spinal cord Injury, Stroke, Experimental models of neurodegeneration, Cerebellar pathology and neurophysiology, Technological and neuroscience based applications to neurological rehabilitation. John B. Troy, Professor of Biomedical Engineering at Northwestern University, has a B.S. (1st class honors) in Biologoy with Physics from the University of London, King’s College, a B.A. (2nd class honors) in Politics from the University of Reading and a D.Phil. from the University of Sussex, all in the U.K. His research is within the broad area of Neural Engineering with a focus on signal processing within the nervous system and the development of technology for neuroscience research and neuroprosthetics. In recent years he has applied nanotechnology to his work on developing tools for neuroscience and neuroprosthetics research. Funding of his research has come from the NIH, the NSF, NATO, the Qatar National Research Fund, the Whitaker Foundation and industry. He has received an Alfred P. Sloan Fellowship and is a Fellow of the AIMBE. He has served as Chair of the Council of Chairs of Biomedical Engineering and Bioengineering Programs in the U.S.A.
Hitoshi Hirata, MD, PhD, is professor in the Graduate School of Medicine and holds a joint appointment in the Innovative Research Center for Preventive Medical Engineering, Nagoya University, Japan. He serves as Director of the Department of Hand Surgery, Nagoya University School of Medicine and Nagoya University Hospital. Dr. Hirata received his medical degree in 1982 from Mie University School of Medicine and has been a visiting clinician at the Mayo Clinic. He is Congress President of the Japanese Society for Surgery of the Hand 60th Annual Meeting to be held in Nagoya from April 26–29, 2017 and chairs the International Symposium on Intelligent Functional Reconstruction of the Hand that will be convened simultaneously. Professor Hirata’s research is within the broad area of functional reconstructive surgery with a focus on peripheral nerve surgery and regenerative medicine. 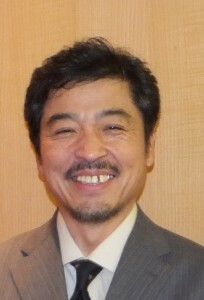 He collaborates with researchers in robotics, neuroscience, rehabilitation medicine, plastic surgery and allied fields on the development of technology for stem cell-based functional reconstruction and neuroprosthetics and has worked extensively with the Japan Agency for Medical Research and Development, the Japan Society for the Promotion of Science, and the Japanese Ministry of Health, Labour and Welfare. Over the past 30 years, Dr. Wolpaw’s laboratory has developed and used operant conditioning of spinal reflexes as a model for defining the plasticity underlying learning. His group’s recent work shows that reflex conditioning can guide spinal cord plasticity in spinal cord-injured rats and can thereby improve locomotion. Clinical researchers are now finding evidence that such conditioning can improve locomotion in people with partial spinal cord injuries. For the past 20 years, Dr. Wolpaw’s laboratory has also developed EEG-based brain-computer interface (BCI) technologies to provide non-muscular communication and control to people who are paralyzed. Most recently, his group has begun to provide BCI systems to severely disabled people for daily use in their homes. 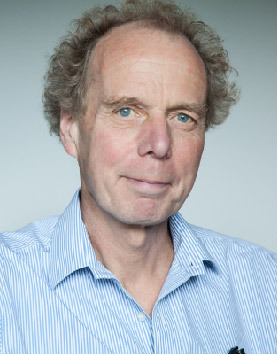 Prof. Rothwell is full professor in the “Sobell Department of Motor Neuroscience and Movement Disorders” and head of the “Physiology and Pathophysiology of Human Motor Control” laboratory. The Sobell department provides a world-class base for neurophysiological research into movement control and its disorders. Rothwell’s laboratory has a leading position in the investigation of the human motor physiology. His main area of interest is transcranial magnetic stimulation and motor control and he has pioneered the use of the paired-pulse stimulation technique for interhemispheric studies. He has written over 600 papers and numerous book chapters. Xavier Navarro received the MD degree in 1978 and the PhD degree in 1985 both from the Universitat Autònoma de Barcelona (UAB). He completed his specialty training in Neurology at the University of Barcelona, and in Neurophysiology at the University of Minnesota. He was Assistant Professor of the Department of Neurology of the University of Minnesota (1986-1988). He returned in 1988 to the UAB as Associate Professor in the Department of Cell Biology and Physiology, where he is currently full Professor of Physiology from 1999. He is the director of the Department of Cell Biology, Physiology and Immunology since 2010. He was a founder of the Institute of Neurosciences of the UAB. 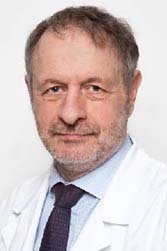 He also serves as scientific advisor of the Institut Guttmann of Neurorehabilitation. He has published more than 300 papers in refereed journals and books, with an H index of 44, and directed 22 PhD theses. He has been member of the editorial boards of the journals: Restorative Neurology and Neuroscience, Journal of the Peripheral Nervous System, Muscle and Nerve, Frontiers in Neuroengineering. He has received the awards “Ciutat de Barcelona” in 1995, “Josep Trueta” in 2000, and ASPAYM award in 2009 for his scientific research activities.